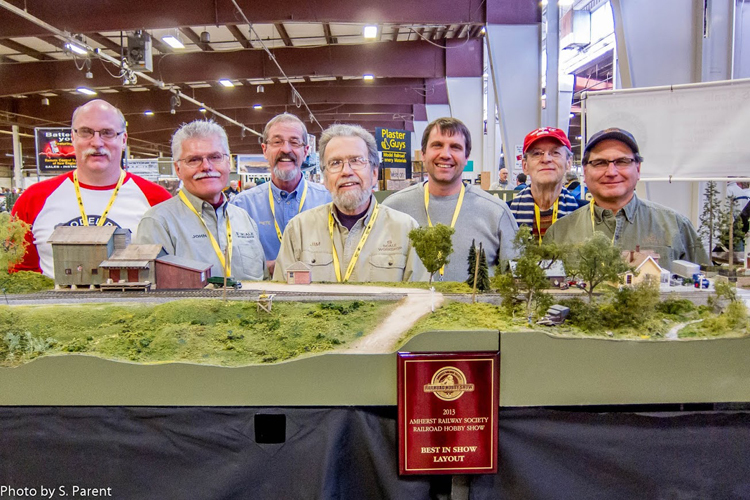 The S Scale Workshop is comprised of a small group of like-minded modellers - from Ontario, Quebec and Pennsylvania. 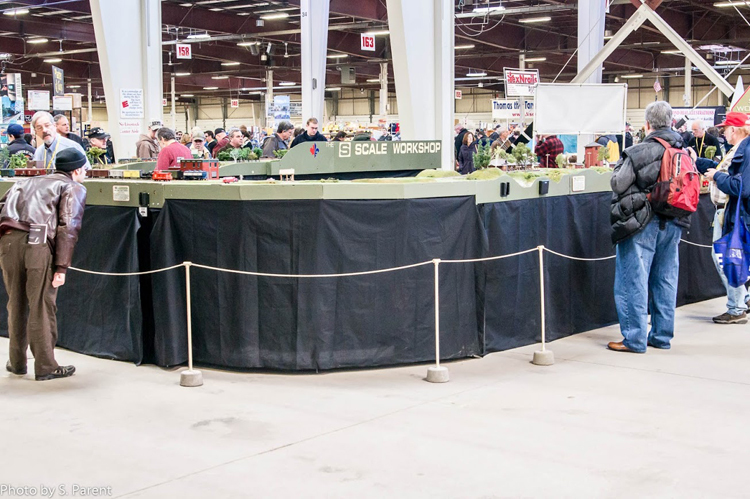 We exhibit at a limited number of annual events, primarily in the Southern Ontario region. 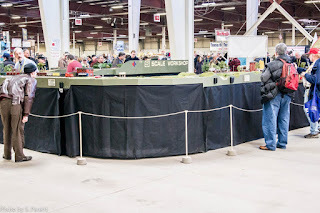 Thanks to fellow S scale enthusiast Pieter Roos, who shared a couple of photos he took of the Workshop's exhibit at the Railroad Hobby Show in Springfield MA last weekend. Here are three pictures used with permission: Click on each to see a larger version. Both photos by Workshop member Simon Parent. Click on each for a larger view. 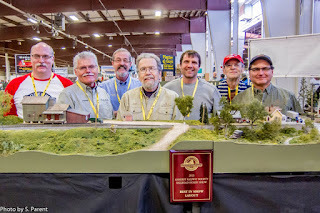 More info to come, I'm sure - but I just learned that the members of the S Scale Workshop who are exhibiting at the Railroad Hobby Show in Springfield MA this weekend will be coming home with a little extra hardware. That's because the group that organizes this huge show have awarded the Workshop their 2013 "Best in Show - Layout" award. 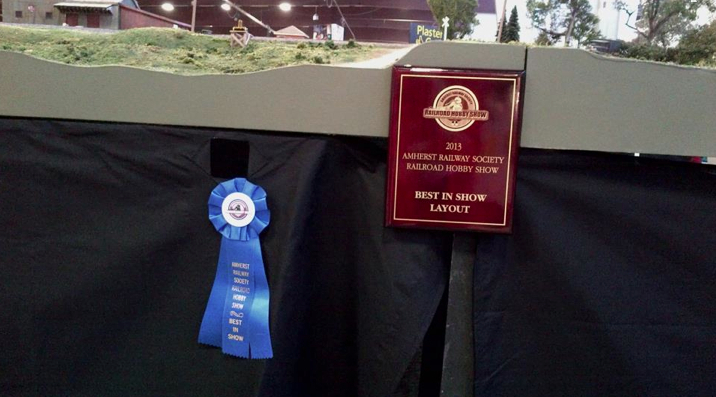 Photo by fellow blogger and Workshop member Chris Abbott. Follow the S Scale Workshop via email!